Josiah Pays it Forward…to Elijah! Josiah was only two years old when he got his Team Summer gift from Summer. Now four years old, he just gave his first Team Summer gift…to three-year-old Elijah! The two boys have a lot in common. 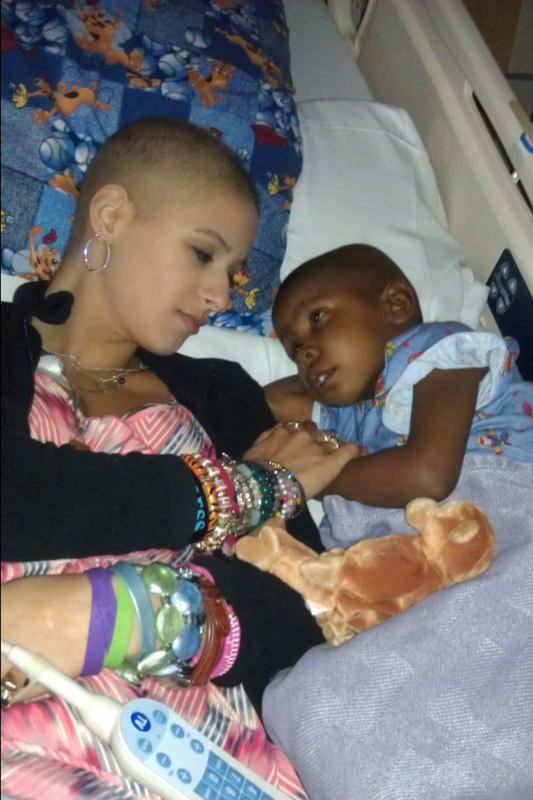 Both were diagnosed at the same age, just under 2, with the same disease, neuroblastoma – which is a cancer of nerve tissues. Elijah has been through a lot in his young life. 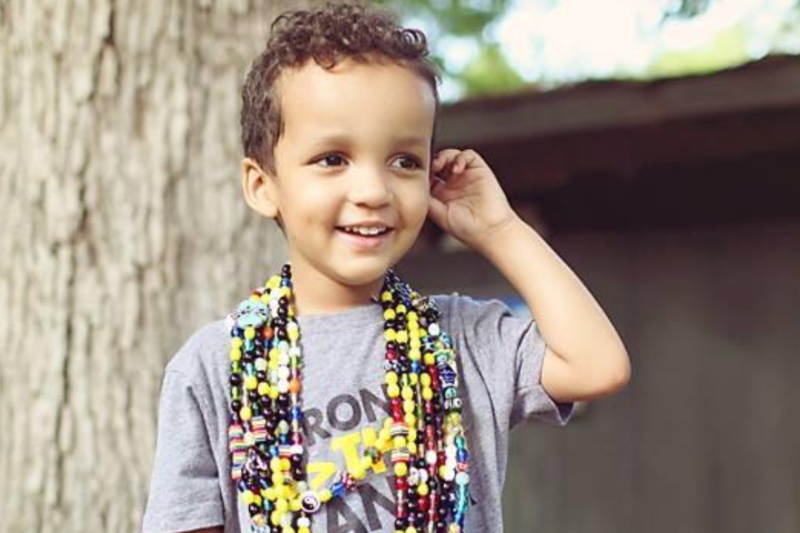 Each of the beads on the necklaces (in the picture to the right) represents a medical procedure or process that he has endured – including biopsies, blood draws, hospital stays, and chemo treatments. Team Summer found out that Elijah loves typing on keyboards, so Josiah’s gift to Elijah was an iPad with a yellow keyboard attached! 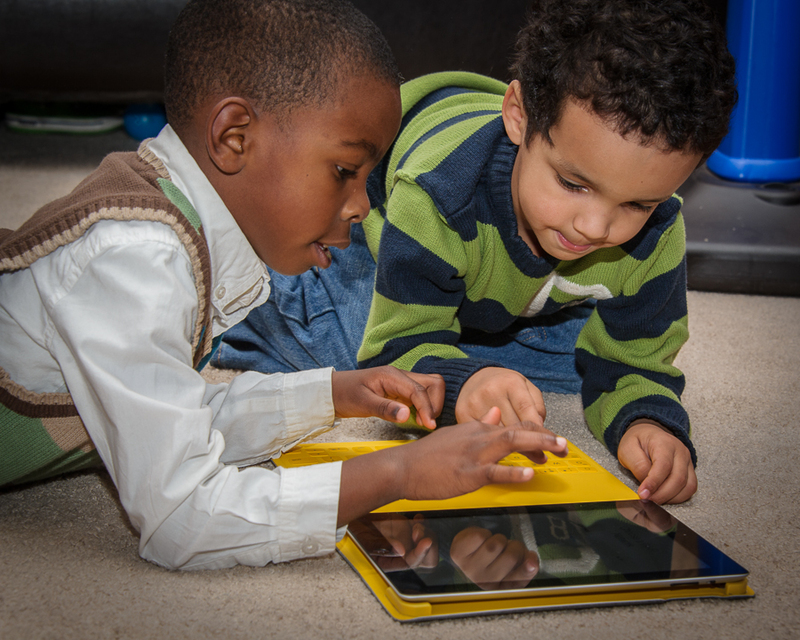 The boys formed an immediate friendship and had a blast breaking in Elijah’s new iPad! Many thanks to all of you who, through your donations, helped make this happen!